Save the date for the 40th Annual AILA (American Immigration Lawyers Association) South Florida Immigration Law Update! This event will take place from February 28, 2019, to March 1, 2019, in Miami, FL. 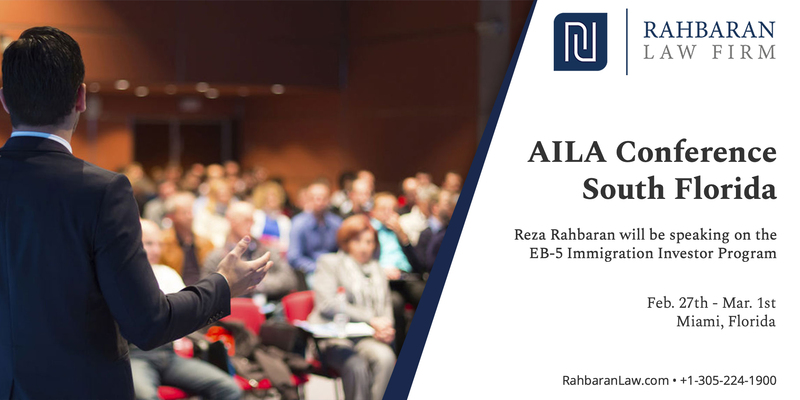 At this event, Reza Rahbaran will be speaking on the EB-5 Investor Immigration Program and other ways international individuals can obtain their USA residency. Exact times and location coming soon.